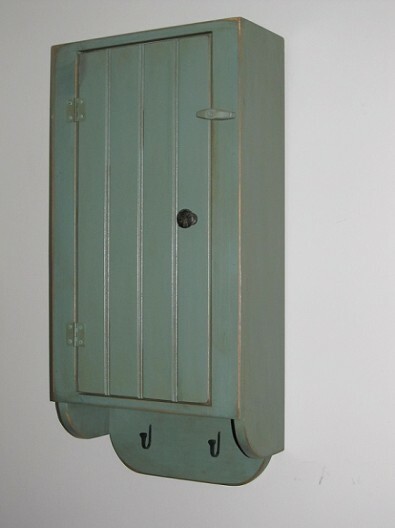 Country painted wood hanging cabinet, a great addition to your home and can be used in any room! This painted wood hanging cabinet could accent your bathroom for storage for medicines, hair products, first aid products and more. 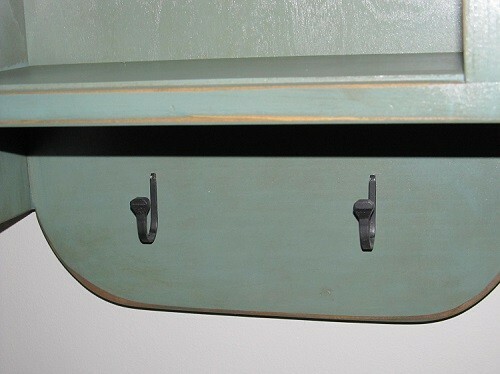 Or how about using this wood painted cabinet in your kitchen for storing spices?Use in the laundry room? 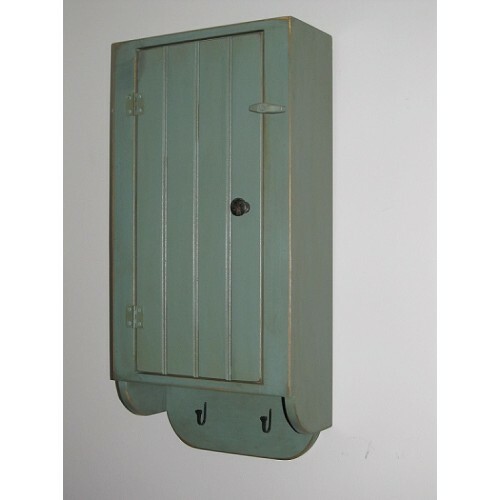 This wood painted cabinet has so many uses, it would also make a beautiful shower,wedding or first home gift. So many uses!! 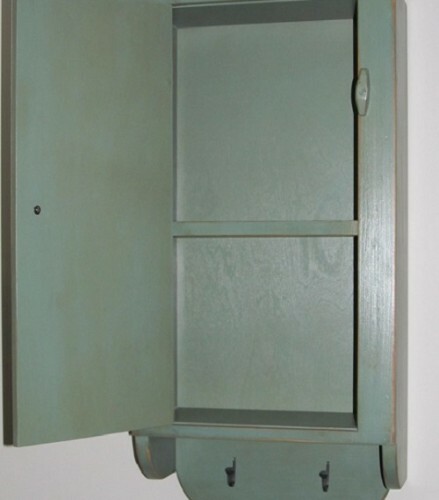 This painted wood cabinet is painted a medium blue color and then brown glazed and poly coated for durability. It has 2 hooks on bottom for you to add your special touch. The cabinet measures 29" x 14" x 6". Handcrafted and made by us here at Rekindled Treasures!